We are down to last eight and set your alarms because the Champions League quarter-finals will kick off today. Tottenham will be hoping for a lift from their new stadium as they prepare for the daunting task of facing quadruple-chasing Manchester City in the Champions League quarter-finals on Wednesday morning. Spurs won their first match at their new home, beating Crystal Palace 2-0 to move back into third in the Premier League after a disappointing run of results. As for City, they’re looking to carry their red-hot domestic form onto the European stage, but face a Mauricio Pochettino-led side who finally look at home. Talismanic boss Pep Guardiola has played down the stadium factor, but he’ll be well aware of the threat Harry Kane, Son Heung-min, Dele Alli and Christian Eriksen all pose. 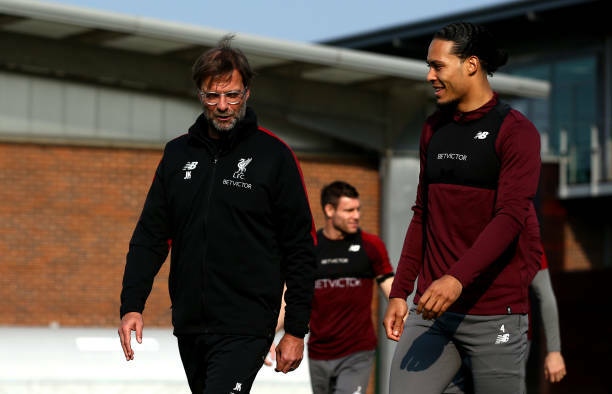 Liverpool manager Jurgen Klopp has ensured his players are revelling in the pressure to win every game as they chase a Premier League and Champions League double. Klopp’s men host Porto in the first leg of their European quarter-final and are looking to extend their 14-game unbeaten run in all competitions. Their Portuguese opponents are out to cause an upset though, with former Real Madrid teammates Iker Casillas and Pepe leading the way the duo boast 268 Champions League games between them. That being said, Porto’s main threat lies with a man set become the most expensive Portuguese player ever when he completes a $79 million move to Real Madrid, Eder Militao. Ajax, the club of Johan Cruyff and of Louis van Gaal’s side that lifted the trophy in 1995 are into their first Champions League quarter-final since 2003 with a team packed with products of their famed youth system. Their stunning victory against holders Real Madrid in the Champions League last 16 made headlines across Europe as the new golden generation of Dutch talent gave Los Blancos a harsh lesson. For Juve, they have one of the best players in history at their disposal. Cristiano Ronaldo’s return to fitness could be vital for the Old Lady’s bid to end their Champions League drought going back 23 years. Ole Gunnar Solskjaer enjoyed a charmed life as interim Manchester United manager but Barcelona’s visit to Old Trafford on Thursday will show him the scale of the task he faces as the new full-time boss. But Barcelona are a different kettle of fish compared to the Red Devils’ weekly Premier League opposition. Similarly to Juve, the Catalan giants have one of the best players in history among their ranks in Lionel Messi. The Argentine wizard has been in unstoppable form as of late, helping his beloved Barca extend their 11-point gap at the La Liga summit.